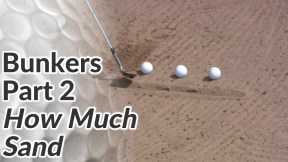 Part 1 of 4 → How Much Sand? 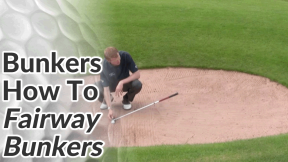 Welcome the first part of the 4-part golf bunker shot series. 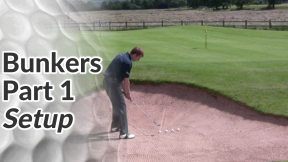 In part 1 we’ll look at the bunker shot set up. 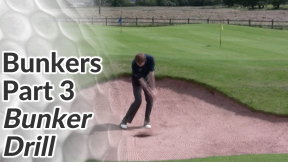 We’ll then move on to basic bunker technique, distance control, some bunker drills and tips for more advanced bunker shots. The aim is to replace elements in the swing that generate power in favour of elements that generate control and feel. 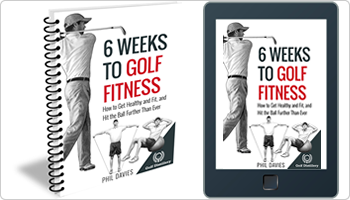 Take a slightly wider stance than you would for a chip shot (about shoulder width is good) and shuffle your feet into the sand so you’re standing on a flat, stable surface. 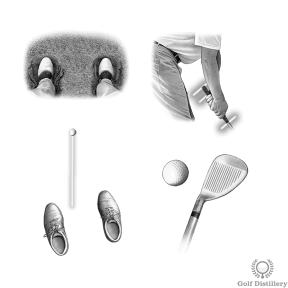 Open the club face so that it faces the sky – as though you could balance a glass of wine on it. Aim your feet and hips to the left of target (for the right-handed golfer) to compensate for the club face, which is pointing to the right of the flag. Grip down towards the bottom of the grip for more control. The ball should be slightly ahead of centre in your stance. 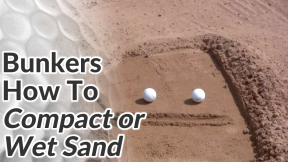 If you draw a line in the sand right in the middle of your stance, this is where the club should strike and the ball should be two inches ahead of that line. 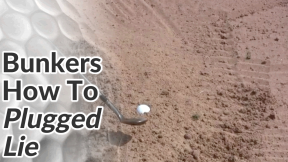 Not every bunker shot has to be played with a full swing. 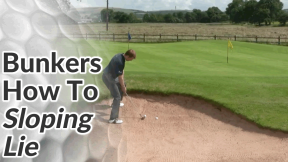 Just as you would vary the length of your swing for chips and pitch shots, you should for bunker shots too. 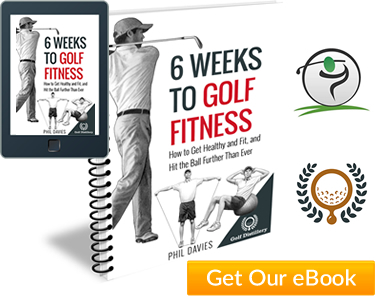 Make a good follow through, accelerating through the golf ball. 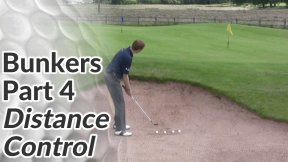 If you tend to decelerate and ‘quit’ on bunker shots, try making a one-third backswing and two-thirds follow through.